New York, NY: February 23, 2010 – Steven Holl Architects has been awarded first prize in the design competition to redevelop the site of the oxygen and boiler plants in Hangzhou, China. Steven Holl Architects’ design won first place, Herzog & de Meuron won second place, and David Chipperfield Architects was selected as the third place winner by a ninemember international jury consisting of Thom Mayne, Wolf D. Prix, Ralph Lerner, Terence Riley, Adolf Krischanitz, Rusio Barbara, Zheng Shiling, Pan Gongkai and Wang Jianguo. This master plan includes residential towers and an international urban exposition center, and integrates functions like an art gallery, restaurants, and performance and exhibition spaces. 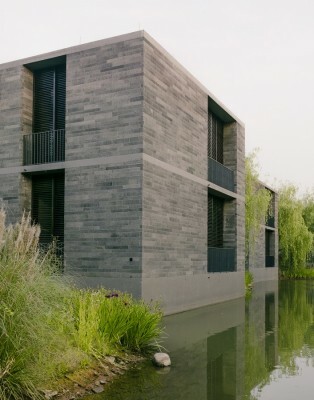 The scheme, based on the concept of Shan-Shui, meaning mountain and water, builds on Hangzhou’s relationship with West Lake. At the heart of the bow-tie plan is an Earth and Water Tower, which act as a vertical gathering of the water and mountain zone. From this central position in the large site, one tower branches north towards tributary forms approaching the oxygen sector while the other branches south toward landscape forms at the boiler sector. The north half of the plan is characterized by a new zone of recreational waterstrips, offering a variety of housing types, and Lantern Towers, which take inspiration from the old stone lanterns in West Lake. Setting “fire over water,” photovoltaic glass curtain walls gather the sun’s energy during the day, while at night one elevation of each tower glows, reflecting the day’s energy in the water. In the south plan, a tilted landform of natural grasses is punctured for light. Hovering over a large public water garden, the structure is a dodecahedron truss, which contains a hotel, restaurants and cafes. Within the minimally restored shells of the oxygen and boiler plants, new experimental architectural forms designed by a variety of artists and architects, take on the functions of cafes, bars, and exhibit or performance spaces, and allow for a flexible programmatic plan, which can take adjustments over time. The project will be led by Steven Holl and Li Hu, partner in charge of Steven Holl Architects’ office in Beijing. 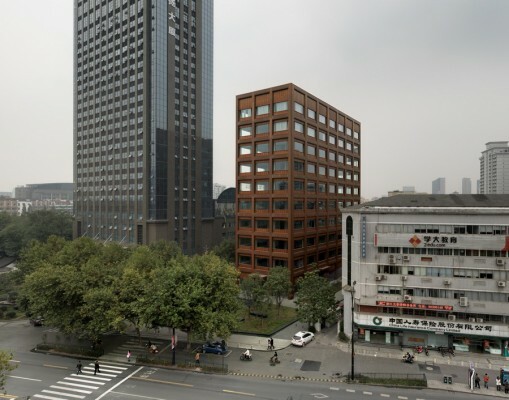 Having recently completed the award-winning Linked Hybrid in Beijing and Horizontal Skyscraper in Shenzhen, the office is currently also working on the Triaxial Field, a pavilion in Xixi-wetland of Hangzhou, and the Sliced Porosity Block, a mixed-use development.